Now spring has finally arrived and the weather is heading into the eighties, our attention at GearBrain is focused on keeping the smart home cool and comfortable. Of course, air conditioning units have existed for years, and even if you don't have them permanently installed in your home, a wide number of portable options are available for occasional use. But these solutions aren't particularly smart. Even if you can set a timer with your A/C unit, that still means the system pays no attention to what the weather is actually doing. And who wants to fiddle with the schedule every day based on the weather forecast? No, us neither. Thankfully, there are smarter options which can save you time, keep you comfortable, and lower your A/C bills all at the same time. Instead of spending hundreds of even thousands of dollars on a whole new A/C system, there are several devices on the market which help give your current system some 21st century smarts. These devices work by sending infrared signals to your A/C unit, just like those sent from the unit's own remote control. But because these devices connect to the internet via your Wi-Fi network, they can be used to control the A/C while you are away from home. They all offer their own smartphone app to send instructions to the A/C from wherever you are. Some are also compatible with Alexa so you can control the A/C with voice commands, and some hook up with IFTTT (If This, Then That), giving you many more options. For example, you can set the A/C to switch on when you are almost home, when the room temperature reaches a certain level, or whenever someone enters the home and their motion is detected. 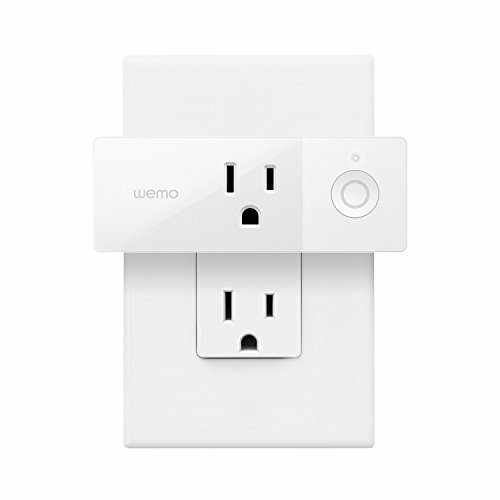 Simply place these device within sight of your A/C unit, so the infrared signals can easily reach them, then plug into a wall outlet and connect to you Wi-Fi. 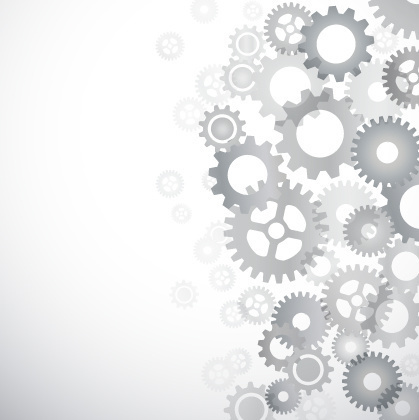 Sensibo enables your A/C to be controlled via the company's iOS and Android smartphone apps. Alternatively, you can issue voice commands to Alexa on an Amazon Echo smart speaker, or through Google Assistant on the Google Home speaker range. The app means you can switch the unit on from across the room, upstairs, from the office, or from anywhere in the world. There is a seven-day scheduling system so the A/C can be configured to come on several times each day, and there are built-in temperature and humidity sensors so you know what level to set the A/C at before you get in. Integration with IFTTT opens up extra features, like geofencing. This means the Sensibo can be configured - by knowing the location of your smartphone - to switch the A/C on when you leave the office, or are a couple of blocks from home. Other IFTTT applets tap into forecasts from Weather Underground to help cool your home when the temperature or humidity outside reaches a certain level. Another applet switches the A/C on when you have a meeting in your phone calendar - handy if located in a home office where you meet with clients. Sensibo also works with Samsung SmartThings, OpenHab and Apple HomeKit. Because the Sensibo works with simple infrared signals, it can be configured to work with heating systems as well, via the companion Sensibo app. 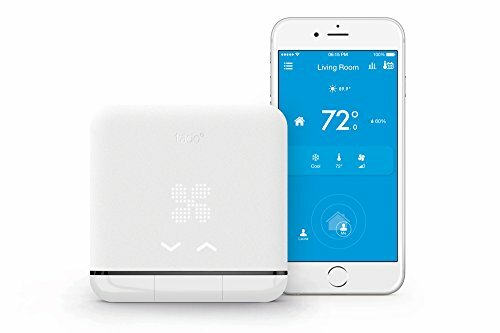 Tado sells smart thermostats and a range of other connected devices to control the heating and cooling in your home. 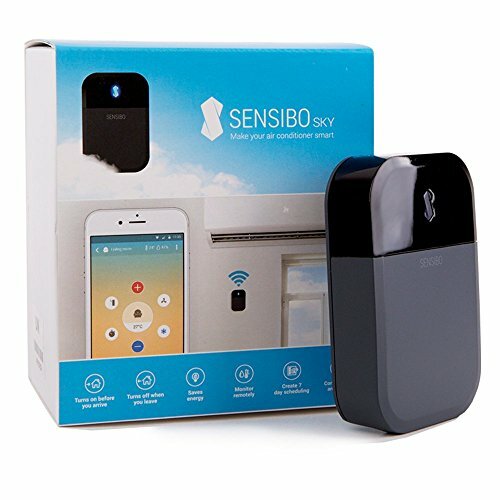 This product works in a very similar way to the Sensibo, in that it connects to your Wi-Fi and sends infrared signals to your A/C unit or heater. The Tado has its own simple interface on its front, showing you the current operating temperature and other basic information. There is Alexa integration for controlling the heating and cooling with your voice, and your smartphone's location can be used to automatically switch devices on before you get home, or switch them off again when you leave. Tado claims the device works with all A/C units which are normally programmed by a controller that displays the temperature. This includes units from Daikin, Mitsubishi, Panasonic, Toshica, LG, General Electric, Samsung, Fujitsu and many more. The Tado app includes reports on A/C usage and how much money you can expect to save by using the device - a figure the company claims can be up to 40 percent. If you buy several controllers, they can be used to manage heating and cooling in different rooms throughout the home, from the same app. Also very similar to both the Sensibo and Tado, the AirPatrol controls your A/C by infrared and connects to your Wi-Fi. There's an iOS and Android smartphone app for switching the unit on and off, setting a seven-day schedule and checking on the device's temperature and humidity sensors. IFTTT support means it can be controlled by Alexa, Google Assistant and other smart home systems, and through IFTTT applets you can set the A/C to switch on and off based on your smartphone's location. 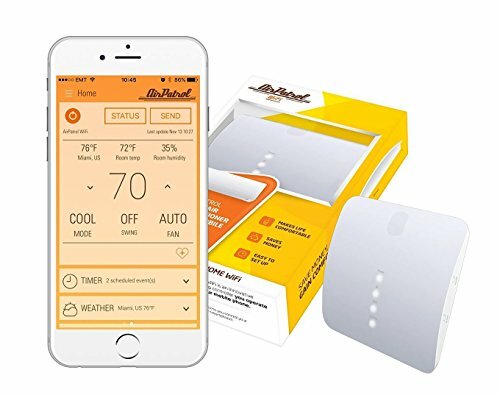 Other applets can control your A/C based on the local weather forecast, or you can have it activate when the AirPatrol's own temperature or humidity sensor reaches a certain level. The makers of AirPatrol claim that taking smart control of your A/C and heating can reduce your home's energy requirements by 20-25 percent. If you have a larger budget to spend on keeping your smart home cool, then a range of window A/C units exist with Wi-Fi connections, smartphone apps and even Amazon Alexa support for voice control. Select window air conditioning units by Frigidaire come with Wi-Fi and can be controlled via the company's iOS and Android smartphone app. Of these, models like this 8,000 BTU-rated unit include Alexa support, so you can control it with your voice. The app lets you remotely adjust temperature, mode and fan speed, and set up scheduling so it works at certain times each day. A regular remote control is included for when your WiFi goes down or you don't have your smartphone (or Echo speaker) to hand. Rated at 8,000 BTU, this unit is claimed to cool rooms up to 350 square feet in size and dehumidify at a rate of 1.7 pints per hour. This equally powered 8,000 BTU unit also has Alexa support for voice commands and is claimed to cool rooms between 350 and 500 square feet in size. A companion smartphone app for iOS and Android lets you control the unit remotely, adjust the temperature and set up a weekly schedule. 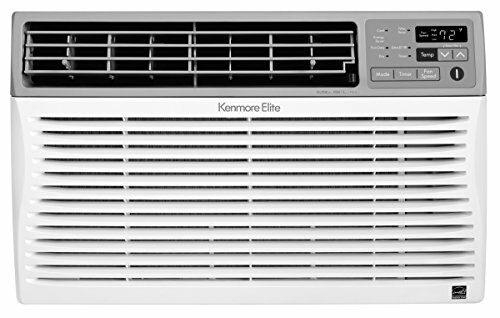 If you buy several Kenmore air conditioning units, they can each be designated to a room and controlled separately from the app. As with many household appliances, portable air conditioning units can be made more intelligent by attaching them to a smart plug. These plugs connect to your Wi-Fi and are controlled from your smartphone, or with voice controls issued to an Amazon Echo or Google Home smart speaker. In many cases, they can also be configured via IFTTT to switch on and off based on your location, room temperature, or a local weather forecast. The most important thing to bear in mind is how the A/C unit is switched on. If it starts working right away when plugged into a wall outlet, then it will work when a smart plug is activated. If it requires a button to be pressed every time it is plugged in, then a smart plug will not help. If A/C units are out of your budget for now, then consider buying fans which switch on when they are plugged in, and thus can be controlled via a smart plug. That way, you can have your fans fire up when you're a block away from home, helping to take the edge off when you walk through the door. 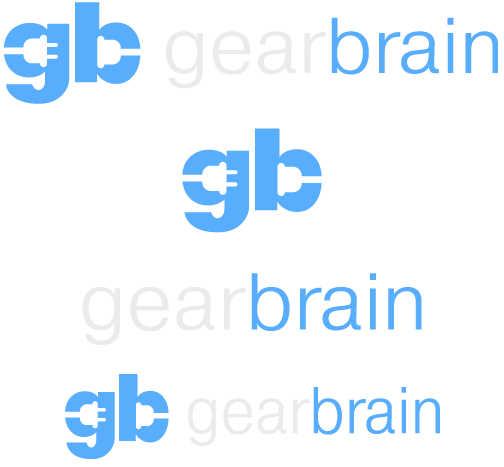 And don't forget to check out The GearBrain to see if any of your connected devices also work with Google Home or Amazon Alexa enabled products.